Do you remember about Instagram’s “hot on the top” algorithm that seriously affects the visibility of the photos you upload? The fewer people are engaged, the fewer people are seeing the account’s posts. And the fewer people are liking, the fewer people are seeing. And… you got the idea! The only way to get out of this “endless loop” is to post the engaging content and to encourage your followers to like, comment, add to bookmarks. Do your best to make them tap twice on your photo or video (this is a synonym of “to like” in terms of Instagram ;)), post at least an emoji in the comments section and tag a friend or two. Inspire, give a hint that you want a like or openly ask for them, trade likes and comments for gifts – encourage the activity by all possible means. There are proven ways to press the maximum number of likes out of your audience, read on to learn them. Running a contest helps you build a fanbase of followers, interested in your brand and your products. Combine them, selecting the ones that agree with your current Instagram marketing strategy. Make sure the prize you promise is relevant to your business, or the list will grow, but the chances to sell something to these new followers will not. The more people are tagged, the better. 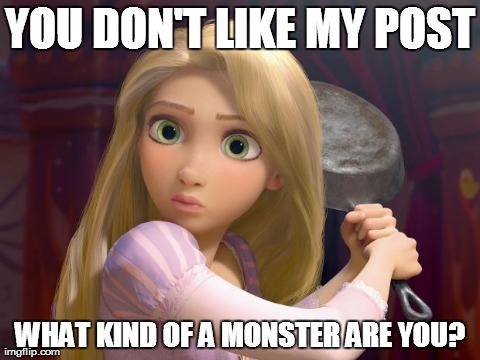 The more comments you get, the better. That’s why it’s a common practice to allow “multiple entry” for comments-based and “tag-a-friend” contest. Tell the readers that it increases their chances to win, and it will boost the contest post of yours organically. 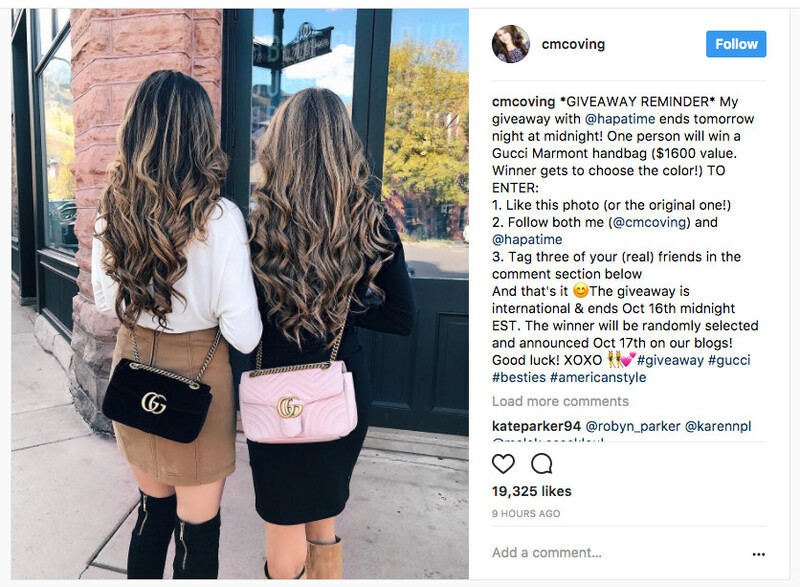 Instagram guidelines require that you also specify that the contest is not affiliated, sponsored, administered, or associated with Instagram, Inc.
To increase the visibility of your post, find relevant hashtags: #givaway, #instagiveaway, #contest, #instacontest, #instagood, #instacool, #instagramgiveaway and alike. Even though different types of contests take a solid place in the business Instagram strategy of brands, man shall not live by bread alone. Instagrammers are still actively sharing something with their instafriends just because they themselves want to share something awesome. Posting appealing content related to your brand and product is still one of the most engaging ways to get more likes on Instagram… with a huge BUT. BUT to make it work, you must instruct the followers to do so. Give a clear CTA in the caption, “tag a friend who would like this!” or alike. This spreads awareness of your brand in an organic way. This enables you to get at least comments, at most – likes and followers too. A pure gem! Try it. One more proven tactics to earn more likes is to post the content that gets emotional response. Girls love puppies, seashore landscapes and fashion shoes. Men love bikes, football and the shapes of Kim Kardashian. Tenagers love vanilla quotes and Harry Potter. Everyone likes kittens, coffee and stories of happy survival. Depending on your audience, you may try a not-so-business type of content like memes, funny pics and dramatic videos. As long as it gets strong emotional response, it gets likes and comments. Take 2 pounds of a dog, add brand mention, serve with humour – that’s a recipe of success for a post by @amazon above (that brings them 5 times as many likes as their other posts, in average – unless the other posts contain pets as well). Due to Instagram’s algorithm of showing hot media on top and not showing the non-engaging posts, not every follower will see every post you share. The struggle is real, and besides the quality of content, it’s the right timing that matters. Over a half of social media managers consider that posting during off-work hours, i.e. 7-9pm on weekdays, is the best time for posting on Instagram. But it’s not necessarily true for your business. You will have to experiment and find your own best timing that brings you most eyeballs and taps on the heart icon. 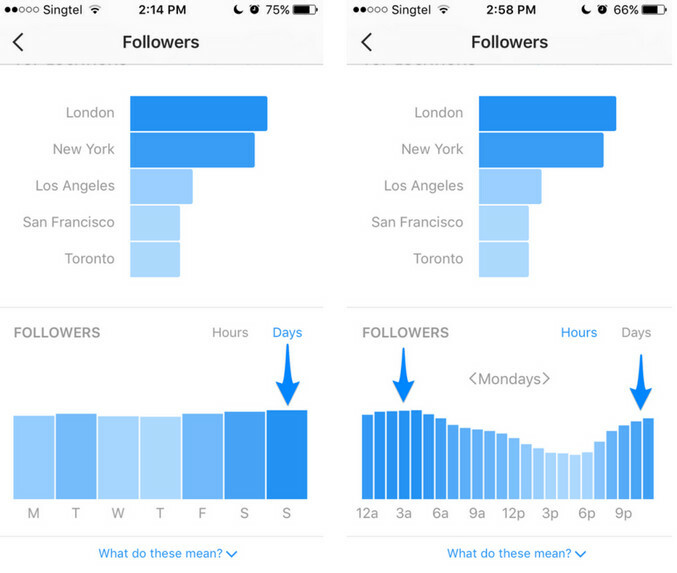 Instagram Insights will give you a hint when your followers are particularly active. We will take a closer look at the Instagram Insights in this guide, and for know, just remember that you do have such data. Want some more statistics and figures about the right time to post on Instagram? Take a look at this article by “Later”, a free instagram scheduler. They shared the results of their own research and gave good practical tips. But Later is not one of a kind. There are more solutions, you will find them, as well as other handy Instagram tools, in the very last chapter of this guide. Now you know several hacks on how to get more likes and followers organically. There are some other suggestions in this article on Instagram marketing worth checking out. But we all know that smart cash investments into the marketing of your brand pay off. The next chapter will tell you how to work with influencers. Spoiler, it will not advise you to sell your house to sponsor a shoutout by a celebrity. Vice versa, I’ll tell you how to find the right influencer , who will drive traffic to your website even if of your budget is on diet.